Bay Telephone offers the best voice and data cabling so that your company, no matter what type, size or number of locations, can send and receive information smoothly and reliably. We design, install, upgrade, and test structured cabling for both voice and data networks. Our customers benefit from a wealth of data cabling skills and years of combined network experience. We deliver our cable solutions with a commitment to doing things right, delivered on time and within budget. Your data cabling network is the backbone of your network. Without it your system may fail to function properly or maintain optimal efficiency. 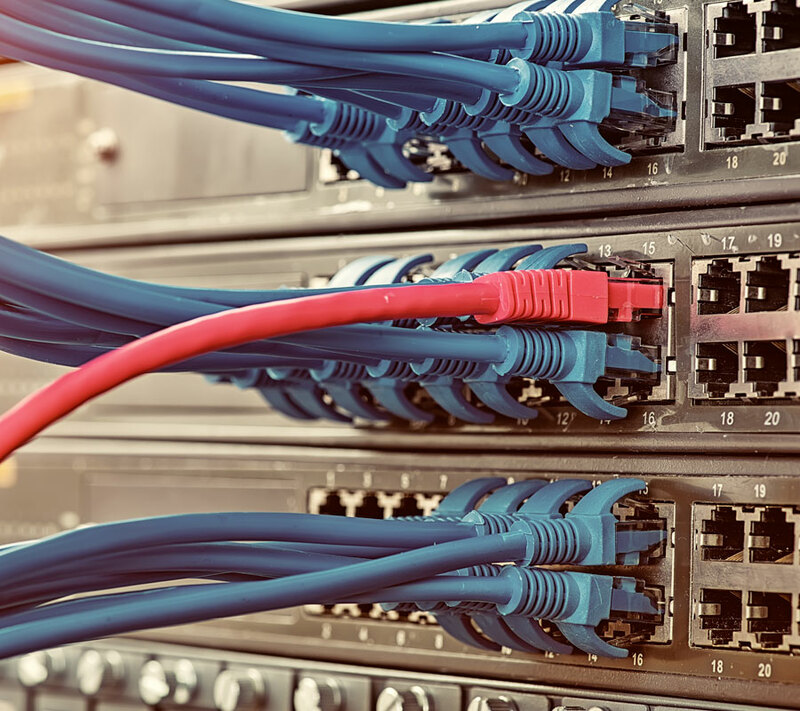 The life expectancy of your network is far greater than any hardware you will connect to it, so planning for a well designed, correctly installed cabling network is the best way to get the most out of your infrastructure investment. If you are planning to upgrade or extend your current infrastructure, call us to discuss a structured cabling solution which covers everything from planning, specification, project management, delivery, and maintenance from our highly skilled network service team. Our technicians are fully licensed and certified. We warranty our cabling for 15 years against any defects in material and workmanship. We offer a full network and cabling design service. We can also assist and support third party architects, providing new ideas and alternatives to deliver the most efficient overall solution to keep the installation process seamless and within budget. We save costs without compromising and work well within budgets to provide you with a return on your investment. We have been designing and installing cabling networks in a range of environments from small offices to entire buildings, restaurants, and even national accounts. Our cable installation technicians are highly qualified, skilled and experienced. In many cases we can install a cabling network without unnecessary disruption to your operations. We can design a fiber network to meet your needs and budget. A clear and accurate cable design will identify the most efficient cable runs thus lowering installation costs and speeding up completion. Planning and designing the network before the installation allows us to identify areas of concern before work begins and resolve them much more easily, ensuring projects are completed on time and in budget. 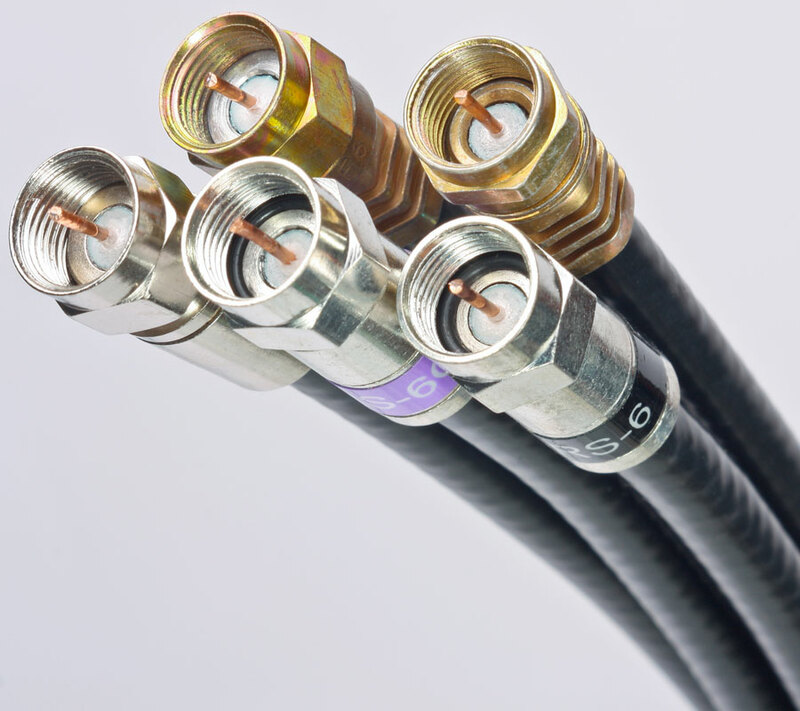 Coaxial Cable (often called coax for short) is high-capacity cable widely used for high-frequency transmission of telephone, television, and digital audio signals. The cable is very effective at carrying many analog signals at high frequencies. It is an essential component of our information superhighway. Bay Telephone’s highly professional technicians can assist in the design planning and installation of coaxial cabling in new and existing buildings and office sites to meet your needs and budget. Bay Telephone is your partner for all your communication and networking systems. Let us help you stay connected with a custom, low-voltage solution to accommodate all your needs: medium to large, voice and data phone systems, wireless infrastructures, along with routing and switching network solutions. 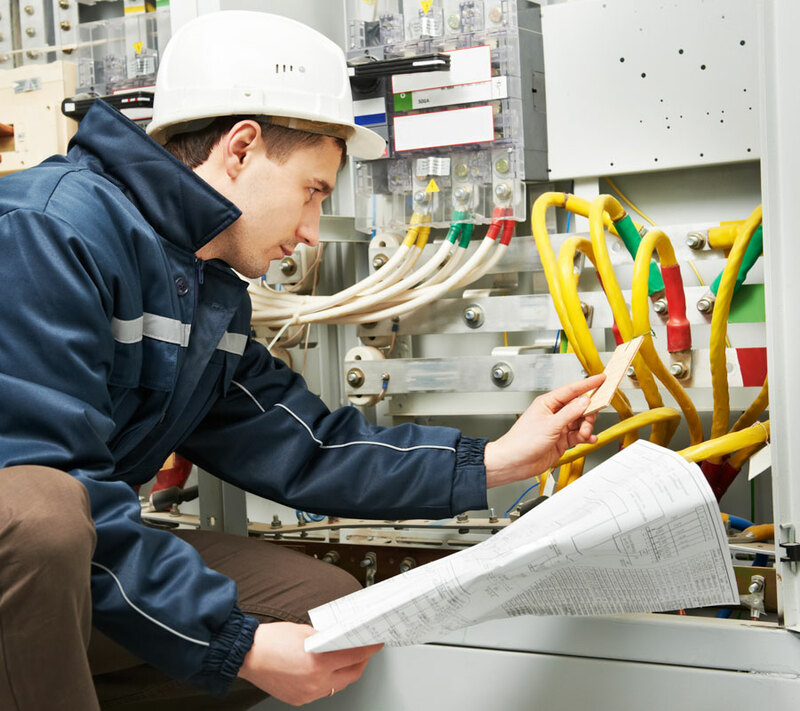 Bay Telephone has skilled, low-voltage technicians who provide a quality installation on-time and within budget. 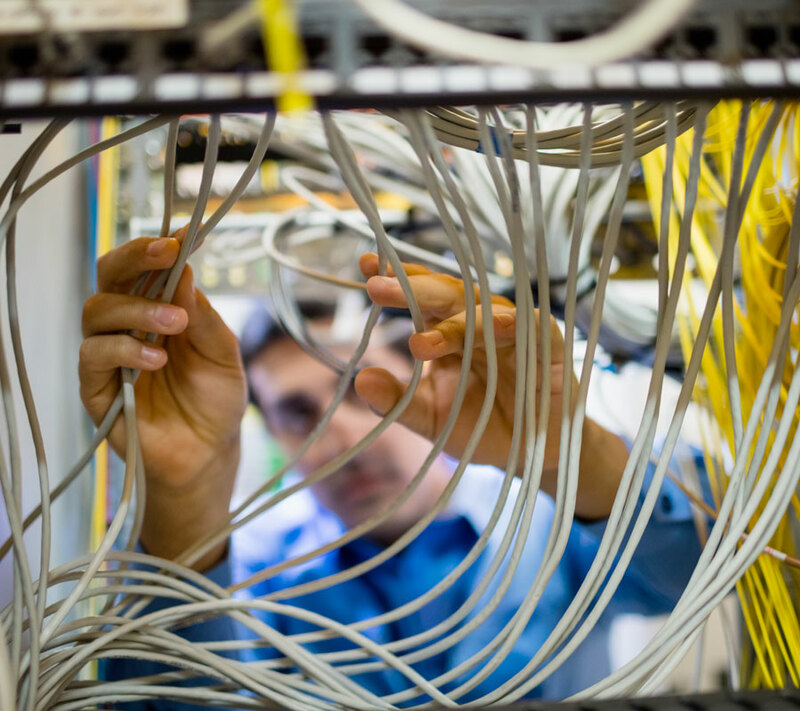 Our certified technicians have extensive experience in network design, installation, upgrading, relocating and maintenance of business office networking applications, and communication needs. With advanced low-voltage cabling solutions from Bay Telephone, we will analyze your required needs and offer the best solutions to fit your needs and budget availability.